Open all year. Cruises: from March 15th to October 31st, from 10.30am to 10.30pm; from November 1st to March 14th: Monday to Thursday from 10.30am to 10pm; from November 1st to March 14th, Friday to Sunday from 10.30am to 10pm. Free for under 3-year-olds. Adult: €14. Child (from 4 to 12 years old): €7. Guided tour. Catering facilities (snack bar with take-away). 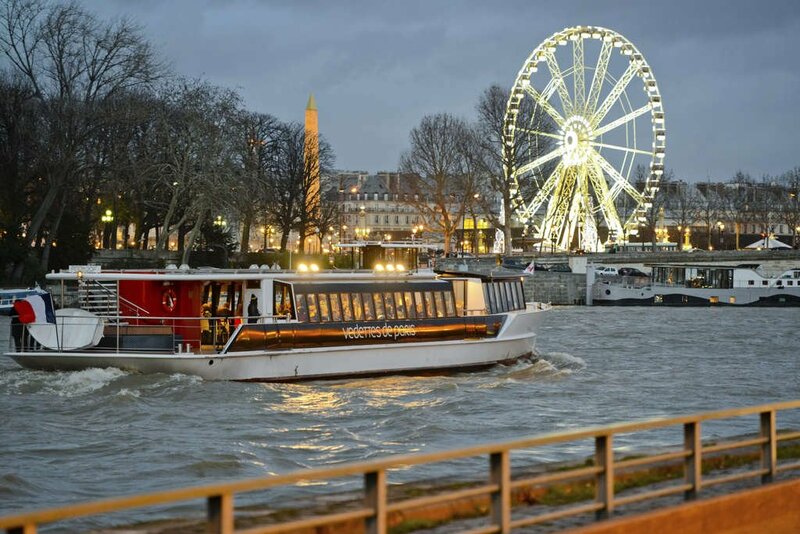 The starting point of the one-hour commented cruise on the Seine aboard these Vedettes is the edge of the picturesque square located at the foot of the Pont Neuf, at the Western end of the Ile de la Cité. The course will let you explore the banks of the river between Notre Dame and the Eiffel Tower. Twenty trips are available in high season. Go for late departures so as to enjoy the illuminated monuments of the city of Paris! Les Vedettes are invaded by tourists throughout the year, but this circuit on the water still remains a pleasant moment of relaxation and discovery! It is very pretty and affordable level price. It is to do: practical for tourists, but interest for Parisian brings little (except for a little sunshine letting itself guide on the Seine). A classic to all the year to discover or rediscover Paris Good idea if you reserve on access, a discount, but you must print a countermark. pretty very pleasant cruises especially in sunny weather with historic commentary and walks along the water. LES VEDETTES DU PONT-NEUF - Vedettes de Paris. Open every day and public holidays from 9.30am to 6.30pm. Guided tours or visits deprived by bike. Guided tour Paris Tasting: €79/adult, €69/child. Guided tour by bike Paris in the Seine: €32/adult, €27/child. Guided tour by bike Paris Eternal: €32/adult, €27/child. Private visits: price on request. Located at the heart of Paris, opposite the Ile Saint-Louis, Paris Bike Tour offers, besides a bike rental service, three tours organised from its shop: the first one, called " rive droite", initially goes through Marais passing through the Place des Vosges and the Picasso Museum before joining the Palais-Royal via Beaubourg. After going through the Louvre, you will go along the Seine and make stops at Pont-Neuf, Notre Dame and on the Ile Saint-Louis. The tour called "rive gauche" will allow you to discover the beautiful fifth district by taking a route that passes through the Place Saint-Michel, the Saint-Sulpice Church, Luxembourg, La Sorbonne, the Pantheon and the Jardin des plantes. Finally, choose the new promenade "Paris la nuit" to appreciate the capital from a different angle on a journey that takes you from the left bank to right bank. Reserve at least 24 hours in advance, by telephone or by the Internet. Make a indignant trusted! Envy reserve two bikes for a romantic weekend. I call. First unfruitful try. Second unfruitful try. Third try: I said that it is advisable to book by Internet. The thing, confirmation the next day. One me request time shrinking bikes. I indicate between 10: 30 and 11: 00. 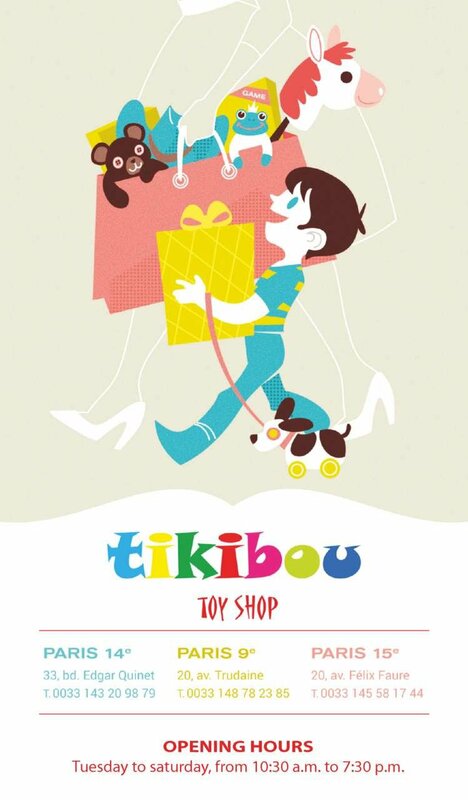 The D-day, arrive at the shop on 10: 05. Nobody. Surprising given the opening hours (Hours indicated: 09: 30 - 18: 30). We decide to wait 10: 30: always nobody. With 11: 00, departure as imperative hours then. After: a completely removed from the weekend, by the amateurism and laziness of Paris Bicycle Tour! I say I tried to retrace on several occasions in the day, I had never meet... Toll: Establishment indignant at any confidence! During an organised visit, we visited the Marais district cycling. The atmosphere is not bad and dynamic entertainer. The small problems stay in the fact moving cycling in very busy place. I participated in cycling trip with a guide in German and it was a super experience, the team on site is very nice and me good advice for my stay in Paris. Open every day and public holidays. Depending on the period and the starting point: first departure between 10am and 1.30pm, last departure between 18: 10 and 11pm. Free for under 3-year-olds. Cruise-walks from €13. Cruises lunch from €26 to €85. Cruises dinner from €47 to €99. This is one of the mythical symbols of the City of Light! Les Bateaux Parisiens offers different packages of cruises commented by audio guides, on the Seine from the Eiffel Tower (all year round) or Notre Dame (April to October) boat trips (adult: from €13)-breakfast cruise (adult: from €55 (bistro formula at €33) – dinner cruises (adult: from €66 (at 6 pm). The tour, which lasts an hour, forms a loop whose endpoints are the BNF Mitterand and the Cygnes Islands, where the replica of the Liberty Statue is found. Special cruise are organised for children; check on the website. I my first made on a boat last June during one evening organised for my 50ans box. The course began at the foot of the Eiffel Tower. magnificent! The buffet was sumptuous. An excellent evening! very fun and nice when the weather is nice, unmissable because different views overlooking paris beach in summer. attention, all companies are not the same price for the same service! Wednesday to Sunday from 1pm to 7pm. From €90, for the tour discovered. Checks are not accepted. At the foot of the Eiffel tower, horse-drawn carriages able to carry up four people await you for an unusual ride in Paris. Four courses exist, from 30 minutes to 2 hours. The easiest one will take you around the Champ de Mars, another to the Champs-Elysées, another one continues to the Place de l'Opera, while the last and the longest go until Notre Dame. Champagne and / or macaroonote can be served on board this romantic vehicle. You also have the option of ordering flowers... Payment is made in cash. With Sinorama, the guest are well cared. This specialist in Asia and high-end stays, with a real knowledge of the field, offers to its guests the most beautiful services on the site. Sinorama organises stays for small groups that will enjoy a personal service throughout their trip, based on a 5 star service, combined with attractive prices. 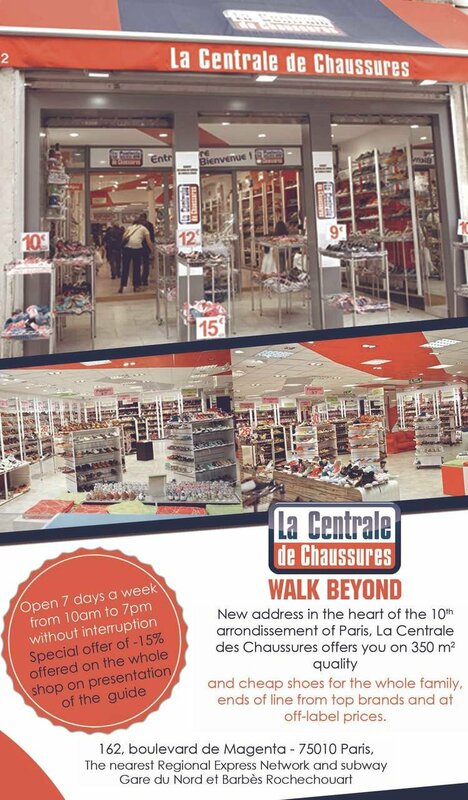 Shop open from 9am to 10pm from April to October and from 9am to 6pm from November to March. A proposed service every day from 9.30am to 7pm from April to October, and 9: 40 at 6pm from November to March. Different schedule depending on the tours. Frequency: between 10 minutes and 30 minutes, depending on the tour and the period. Adult: €32 (1 day), €36 (2 days consecutive), €40 (3 days). Child (from 4 to 11 years old): €16 (1 or 2 days). 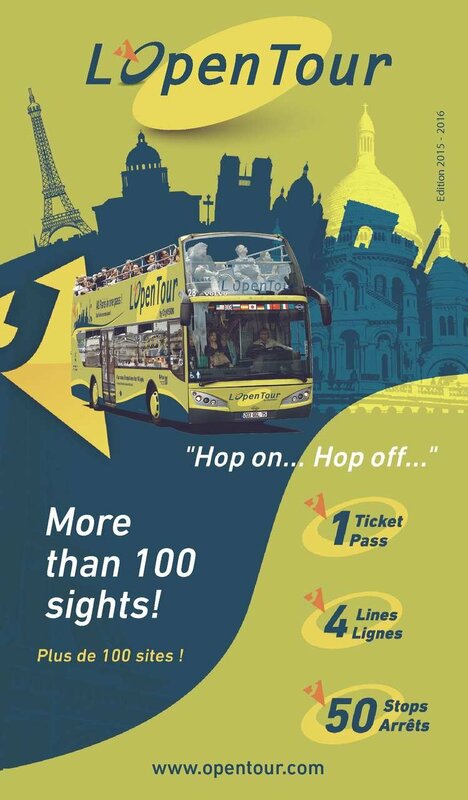 It is quite simple, these open-top-deck buses of Paris L'Opentour are everywhere in the city! 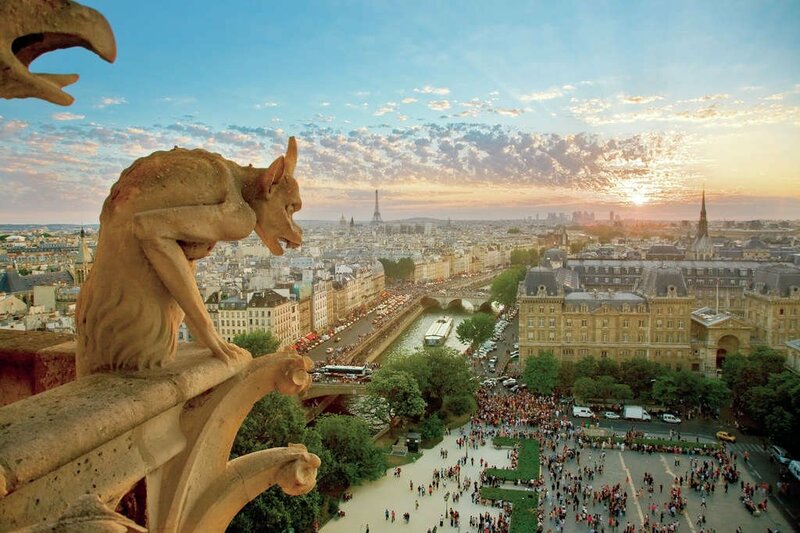 They make you discover Paris "from above" – comments delivered by an audio-guide (available in 10 languages!). Vehicles are accessible with a pass, which is valid for 1, 2 or 3 consecutive days: the number of ascents and descents is unlimited. Four courses are offered: "Bastille – Bercy" (blue circuit: Notre Dame, Quartier Latin, Bastille, Jardin des Plantes, BNF Mitterrand, Parc de Bercy, Marais, Hôtel de Ville), "Montmartre–Grands Boulevards" (yellow circuit: Place de l'Opéra, Montmartre, République, Grands Boulevards, Madeleine), "Montparnasse – Saint-Germain" (orange circuit: Quartier Latin, Luxembourg, Denfert-Rochereau, Montparnasse, Invalides, Saint-Germain-des-Prés, Notre-Dame), "Paris grand Tour" (green circuit: Place de l'Opéra, Palais Royal, Louvre, Notre-Dame, Orsay Museum, Concorde, Champs-Elysées, Arc de Triomphe, Trocadéro, Eiffel Tower, Invalides, Madeleine). Everything that is needed to visit the city from top to bottom in buses with certain comfort! Jaime even if it is a bit for tourists that allows you to discover funny Paris. Even me which am Parisian I have it do (to tell you) it was very well! Very convenient for visiting the main tourist sites of Paris, especially that you can go up and down as many times as you want. A little expensive place. An extra way to visit Paris with a breathtaking view on the 2nd floor of the Bus. The courses offered are very complete and prices are not expensive. The " really should be made; large Tour" with L'Open Tour to have your eyes and enjoy this magnificent city! Small bus pleasant to take (especially on sunny days). 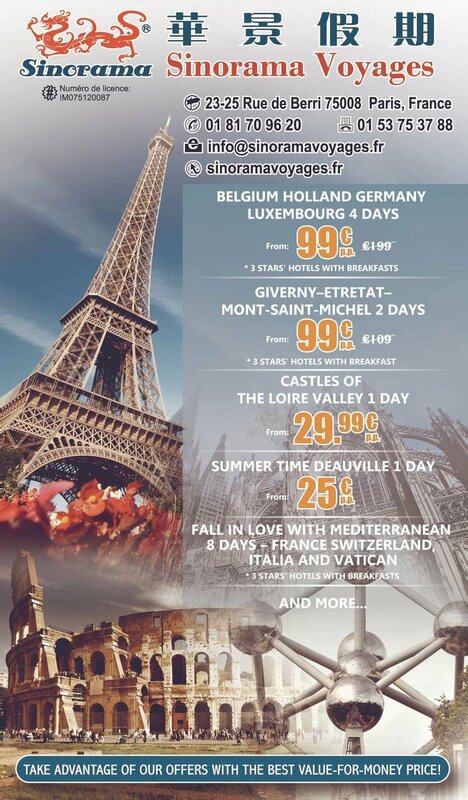 It is a little expensive but allows a quick tour of Paris and especially to revise/learn its various monuments. Inconvenience, it is quite brisk. From €20 per person. Online sales. 4 Roues Sous 1 Parapluie offers rides from fifteen minutes to six hours in a 2CV with a driver – for one, two or three people. The tours take you around the city according to various themes: Champs-Elysées, the sets of « Amelie Poulain », the Monopoly streets, the green spaces... Other courses will take you to Versailles, Chantilly... Departure is from your accommodation if it is located in the 1st, 2nd, 8th or 9th districts of Paris or, alternatively at the Opéra Palais Garnier. It is even possible to request for a "bellboy" to help you discover the best addresses in town! Information by telephone every day. Open every day from 10am to 6pm. Until midnight in July and August. Train every 30 minutes in summer; every 45 minutes in winter. Adult: €6.50. €4.50 for under 12-year-olds. This small moderate pace train will make you discover Montmartre in a fun way during a 35-minute guided tour. 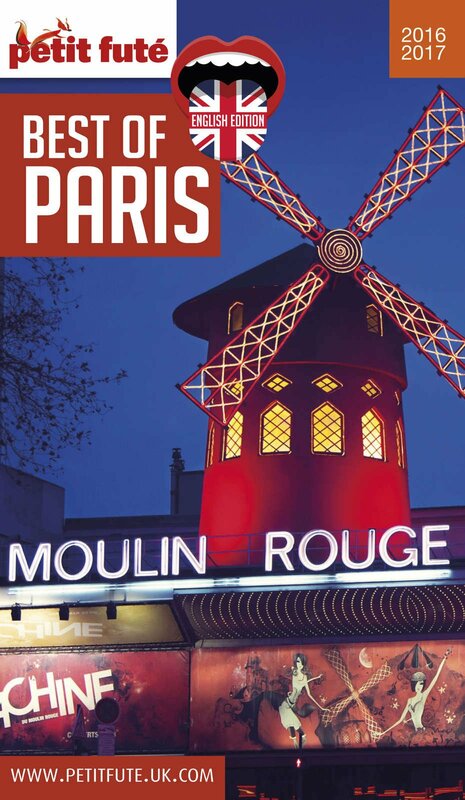 You will see the Moulin Rouge, the Montmartre cemetery, the Sacre-Cœur basilica, the Tertre square, the vineyards of Montmartre, the Lapin Agile cabaret, Saint-Pierre market etc. The circuit forms a loop. Departure is from the Blanche square (M° Blanche) or from the Tertre square (M ° Abbesses or Anvers, then climb on foot or by cable car). It is not a tourist train! It is more than a shuttle Montmartre/moulin rouge, the duration is by way of 20 minutes (train runs relatively quickly), the comments audios are very rare and poor quality, enormously world wants to go up in Montmartre and aggressive to those who wish to stay. In a word, avoid absolutely! It is better to visit Montmartre walk, which is also more economical! For a quick trip to Montmartre, it is a good way. But it is more pleasant to stroll in the streets all these street artists. Completely of agreement with zazoute. The comments are absolutely no interest. Very disappointing. Open all year. Adult: €6.50. Child (up to 12 years): €4.50. Group (20 people): €5.50. Guided tour.